The term "more of the same" is far too often used in a negative context. 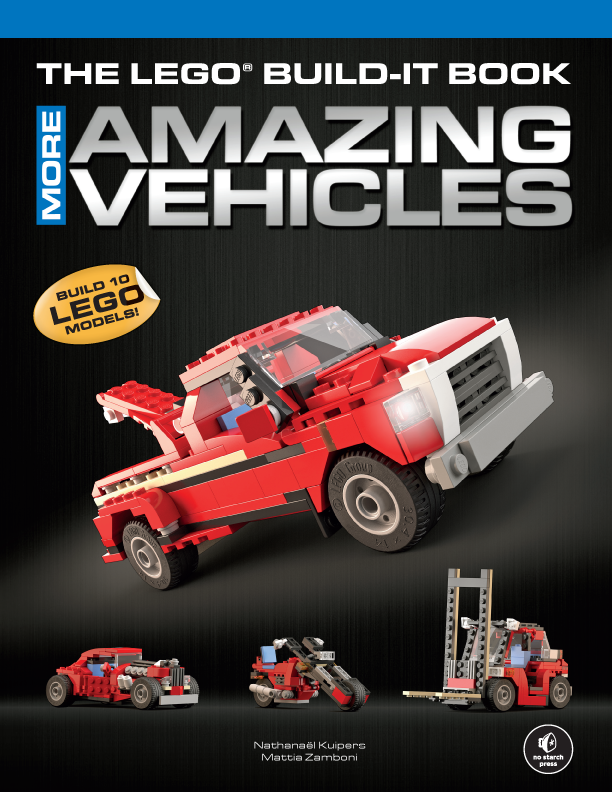 When I'm talking about The LEGO Build-It Book Volume 2 More Amazing Vehicles it should be thought of as being in the the same spirit as "more chocolate cake", or "more heart containers" or "more foot massages". Sometimes more of the same thing is totally awesome! 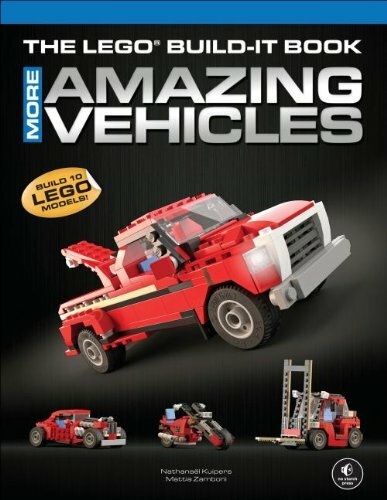 If you read my review of the first Amazing Vehicles book (you did, didn't you?) you know I was a fan. From it's gorgeous renderings to it's excellent layout, and from it's beautiful instructions to the sweet models, it's a top-notch book. Well volume 2 can simply be thought of as more of the same book. In fact, you could just glue them together and you'd hardly know you were holding two books (depending on your skill with glue, I'm assuming a lot here). Like the first book, all the models in this one can be built with parts from set #5867, the LEGO Creator Super Speedster. This is one of the facts I love the most about these books. Rather than endlessly hunt for parts, or worse, have to order them from Bricklink, you can get one set and have everything you need. Most Creator sets have a second and third model, this book is like having an additional 10 instruction books in the box. And both books together is like having 20. Also like the first book the model diversity is great. There's the fast and sleek, like the hot rod and F1 racer, and the utility, like the fork lift and excavator. My favorite model has to be the roadster, with it's elongated front end and open top, it looks classic and appealing. The instructions are every bit as good as before, with graphics so well done they look like they come strait from LEGO. In fact the graphics all through the book are excellent, and the renderings are phenomenal. In fact, when I posted the review of the first book I thought they were photographs. And let me tell you, with 20 years of computer graphics experience in the high pressure world of visual effects, it takes a LOT to fool me. I highly recommend this book, as I did with the first. There's something in here for everyone who's a fan of the bricks. And it's a great gift since we're rapidly approaching the holidays. If you plan to order this book from Amazon, please consider using this link and supporting BrickNerd.